Justice Minister Owen Bonnici on Tuesday defended his “reformist government’s” track record during a hearing about Daphne Caruana Galizia’s assassination in the Council of Europe. Dr Bonnici and Attorney General Peter Grech faced questions about the lack of progress in identifying the mastermind behind her murder, as well as inaction against top officials facing corruption claims. The Justice Minister told the assembly that while he disagreed with Ms Caruana Galizia’s style of writing, this in no way impinged on the quest for justice when it came to her murder. Turning the tables on PN MP Jason Azzopardi, who had questioned the minister’s political responsibility for creating an environment of hate against the assassinated journalist, Dr Bonnici pointed out that Dr Azzopardi’s party leader Adrian Delia had called Ms Caruana Galizia a “worthless blogger”. 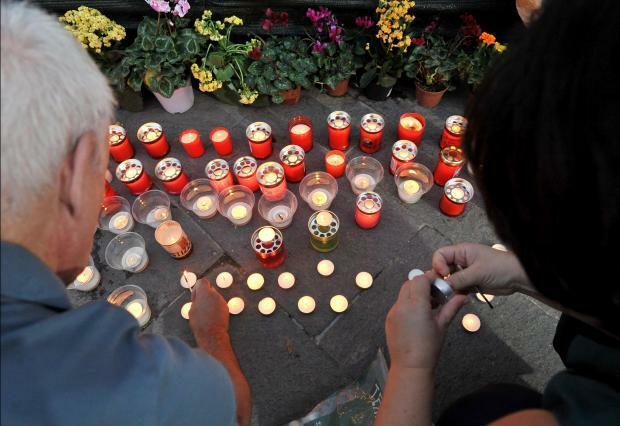 Dutch MP Pieter Omtzigt questioned why the government insisted on erasing the journalist’s memory by removing candles and flowers placed at a makeshift memorial in Valletta. He said that while 10 people had been arrested, the three triggermen charged had not yet been brought to trial and the ringleaders behind the assassination were still at large. Dr Bonnici replied that the government had not stopped anyone from placing candles and flowers by the Great Siege monument. He explained that the monument by Antonio Sciortino, one of Malta’s “best talents”, had suffered damage from the candles and flowers and needed to be restored. After restoration, people were once again free to hold activities at the memorial, but all candles and flowers were removed “once the activity ended”. Describing Ms Caruana Galizia’s murder as a blot on Malta, the Justice Minister assured that tracking down the mastermind behind the murder was a priority. “This is not Malta. Malta is not this. Malta is much better than this”, he said. The Dutch MP, who is drawing up a report for the Council of Europe about the murder, questioned why Malta’s institutions never seemed to act on corruption cases involving politicians. Dr Bonnici said that such cases had been investigated and the Egrant inquiry had exonerated the Prime Minister from any wrongdoing. The Justice Minister insisted that the main conclusions from this inquiry had been published and showed that someone tried to frame Prime Minister Joseph Muscat and his family. He said an appeal against an inquiry into the Panama scandal had been dismissed on a “technical issue”, as inadequate evidence had been provided to show such an inquiry was necessary. During the hearing, Attorney General Peter Grech refused to say if Maltese authorities had asked the United Arab Emirates for legal assistance. The UAE, which is notorious for not cooperating with foreign jurisdictions, was where Tumas Group CEO Yorgen Fenech set up his shell company 17 Black. A leaked e-mail from the Panama Papers showed how the Prime Minister’s chief of staff Keith Schembri and Tourism Minister Konrad Mizzi planned to received up to $2 million from 17 Black through secretive offshore structures that had not been declared to the tax authorities. Dr Grech said the fact that he could not provide any information to respect the integrity of investigations did not mean that nothing was being done. During the hearing, the Attorney General set out a number of legal arguments as to why a parallel public inquiry into the journalist’s death was not a requirement. The Caruana Galizia family has repeatedly called for an independent public inquiry to look into the murder and establish whether the government had done everything it could to prevent it. Dr Grech said the inquiring magistrate had broad powers to follow the evidence wherever it took him. He clarified that this did not mean a public inquiry would not be appropriate at some stage. The Attorney General said the fact that three people had been charged did not mean that the magisterial inquiry was over. Dr Bonnici told the COE that Malta’s "reformist government" had introduced a raft of changes to the country’s legal system. The Justice Minister said the government had removed time-barring on political corruption, introduced whistleblower protection and regulated party financing. Dr Bonnici said the justice system had been furthered reformed in 2016 by strengthening its independence, making judicial appointments more transparent and improving the conditions of the judiciary. He said the government had removed criminal libel and introduced what he described as “anti-SLAPP measures” by ensuring that only one libel case per story could be filed. The Justice Minister said the government was committed to further reforms. 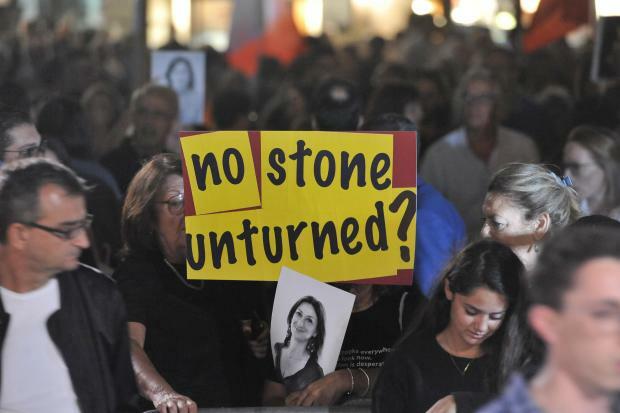 He said no stone would be left unturned to solve Ms Caruana Galizia’s “horrendous murder”. Dr Bonnici said top investigative agencies had been involved in the investigation and the magisterial inquiry’s ultimate aim was identifying all those involved in the assassination. 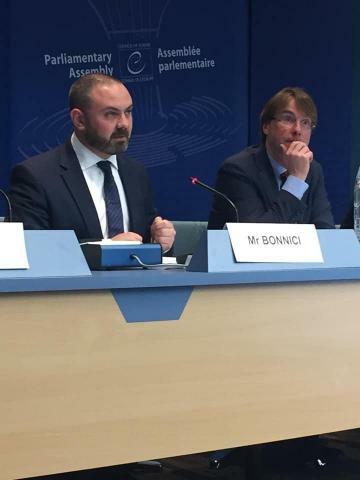 On the Venice Commission’s suggestions to strengthen Malta’s rule of law, Dr Bonnici said the government had formally announced it had kick-started the legal process to carry out these reforms. Decoupling of the Attorney General’s role as both legal advisor to the government and prosecutor as well as reforms to judicial appointments were being given top priority, he said. Dr Bonnici did not directly reply to a question asking if further judicial appointments would be postponed until these reforms were implemented. He said many of the reforms required Constitutional amendments requiring the Opposition’s assent. The Justice Minister admitted last week that the new public prosecutor would be a government appointee.